Love it! So perfect in every way. just so pretty Joan - you should enter it in the Fusion challenge - the colors fit perfectly! thanks. I checked and Fusion, like many challenge blogs, wants you to post their badge on my sidebar. I don't post any badges on my sidebar. It isn't that I don't like Fusion (looks great!! ), I just like to leave the blog looking as is. Does that make sense?? I love this. Wishing for peace, too. So soft & pretty. Love your card. 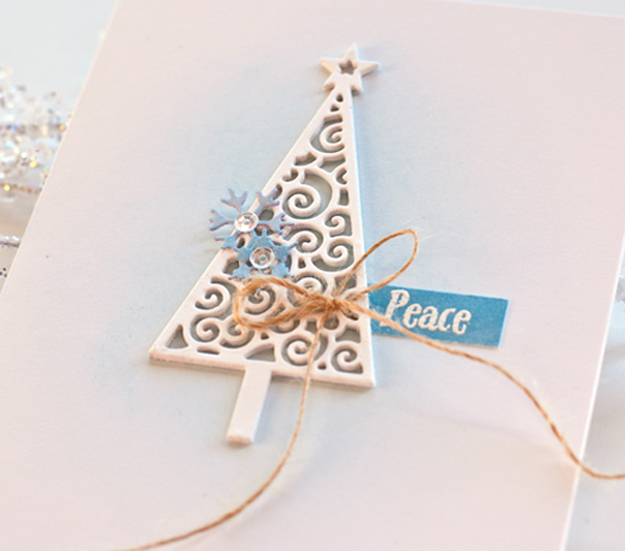 That tree die is gorgeous and you've captured it perfectly. so very soft and pretty. not sure why it left you feeling pensive, as it makes me feel so very content and relaxed. it's lovely, Joan. truly lovely! I love the tree die. The cut looks so thick. Your CAS cards always look pretty and perfect, but if I made this exact card I'd feel very uncertain. You have a gift for CAS. thanks Leslie. 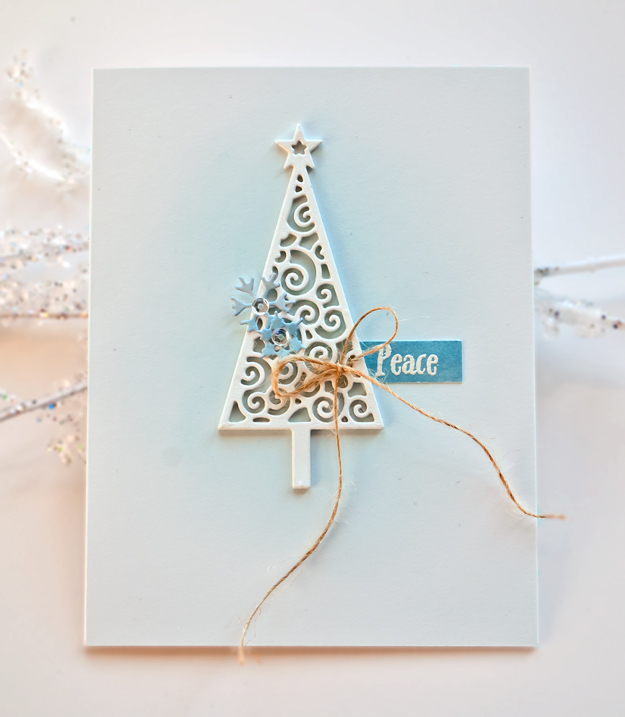 I cut out the tree several times and adhered the die cuts on top of one another to get the thick look! Oh, I love this! That white tree is fab.